With the continuous erosion of voice revenues, the tendency of operators and vendors to explore alternate sources of revenue, is the main focus. With the trend moving from voice to non-voice, services like mobile TV, m-payment are picking up at a rapid pace. Apart from this, location based services, advertising solutions, personalized applications, and other services are also expected to rule the roost. 3G and enhanced smartphones penetration is only going to make it easier for content providers to reach out to a larger population with relevant content, specifically dedicated to users and making it directly available to them. There are many reasons that can be attributed for the lack of VAS take up in the country. One reason why the VAS industry in India has not done well is their complete dependency on an operator. The VAS players need to delink partially from the operator and start focusing on non-operator business in a big way-be it government, enterprise, and M2M applications. The industry also calls for a policy framework for itself. A VAS policy framework can be understood as the underlying set of guidelines governing an industry, which serves to provide a vision and direction, taking into account the unique characteristics, needs, and impact of that industry. For MVAS to have a far reaching and significant penetration, the ecosystem will need a robust supporting infrastructure of high-quality network infrastructure, coupled with adequate mobile phone penetration. 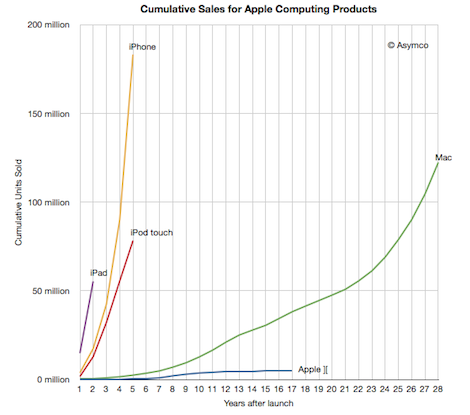 Growth of mobile phones along with falling prices, coupled with entry of 3G is an encouraging trend. However low connectivity in rural areas (~23% penetration) and low penetration of smartphones continues to be a large constraint. An ecosystem which has an equivalent participation from all value chain players, and facilitates fair distribution of benefits ensuring the long-term growth and sustainability of the industry. Inequitable revenue share, lack of transparency between telcos and content providers, lack of innovation or lack of incentives for innovation, and ensuring relevance of application for the Indian populace are some of the major challenges for players. Also, the consumers today are more from the prepaid segment, which comprises more than 50% subscribers whose prepaid balance is less than Rs.10. Therefore the segmentation needs to be done with which customers who do not have money to pay for VAS, wherein, brands will be paying for their advertising inserts. The future of MVAS in India will be all about delivering the right stuff to the right person at the right time, based upon the right monetization model-be it fee based or ad-supported free offerings. In a vast and diverse market like India, this also means delivering VAS solutions in the right language and in the right format (audio, SMS, web, video). Although there are a plenty of challenges that the utility MVAS space confronts today, however the opportunities are enormous too, given the increasing proliferation of mobile phones even in rural and remote areas and the rapid development of technology including the foray of 3G. It is clear that the MVAS space is set to witness a high-growth trajectory, creating tremendous opportunities. However stakeholders across the value chain will have to work collaboratively to overcome barriers and create a business ecosystem that generates fair rewards for all the players. If the signs are to be read and read in the right direction, Apple is looking to add voice-over-IP (VoIP) capabilities to the next generation iPhones and iPads. That is a very interesting add-on to the Apple portfolio- Did Apple just launch its own network carrier service – After all, owning the complete value delivery network is something that will not be an idea which Apple will be averse to. To its credit, Apple has carrier killers such as iMessage (SMS killer) and Facetime (Video chat killer) in its repository. The Apple owning up the dumb pipe may border on Apple becoming a 4G-MVNO or on a more extreme level, buy its own 4G network. However, Apple doesnot look to be in the game for raw connectivity. Delivering Apps, services and customer experiences through brilliantly connected devices is one thing, raw connectivity is quite another. Ergo, it could be a better integration of the VoIP technicalities to serve its device integration better with the carriers. The more likely scenario is Apple launches a cross-device VoIP platform that allows customers to trade phone calls among iPhones, iPads and Macs. The beauty of VoIP is that it’s not just voice; it supports all kinds of features, from multimedia and video conferencing to instant messaging and presence that you simply can’t shove into legacy circuit networks. Apple could create an SIP-based communications platform that integrates FaceTime, iMessage and voice into a single multifaceted service, available exclusively to any member of the Apple club. One thing that could be expected from Apple is that it could re-do the wireless industry VoIP standards – that’s comething more Apple like. 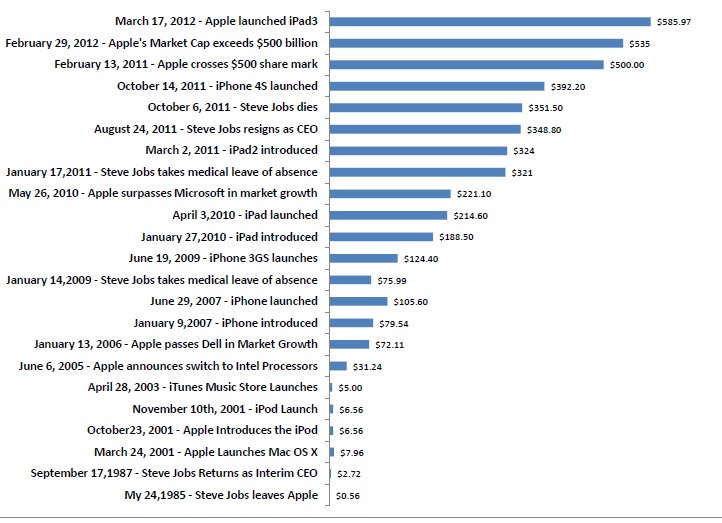 The possibilities from Apple’s perspectives are many and more. HTML5 is taking over as the key enabler of Internet on mobile phones. The Internet of all things and cloud based convergence will be a key theme in this decade and it will be powered by a tight integration powered by APIs. The future will be about Platforms on which devices and services will be enabled will be powered by applications both native and web based. This post examines the platform, applications and developer intent. A recent survey by Appcelerator finds that Apple iOS leads the developer interest charts with 89% intent. iPad comes a close second at 88%. On the Applications side, the loser is a very unlikely candidate: Android (79% on the Android phones,64% on the Tablets and 51% on the ICS platform). 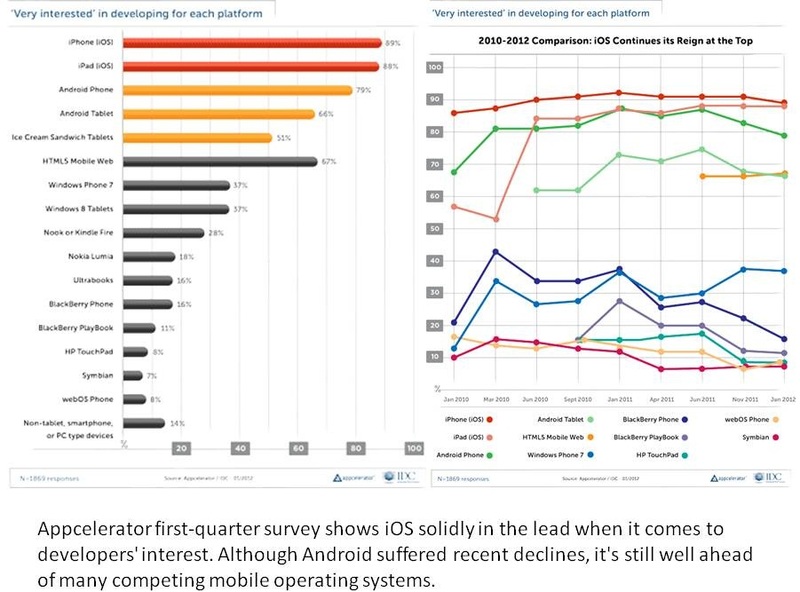 Appcelerator in its quarterly survey figures out that Android is gradually slipping down mobile programmers’ priority list, with HTML5 powered Web apps stepping in to as an answer to development difficulties. HTML5 ended up showing 67% positive intent from developers. The wanning interest in Android platform is being attributed to the Fragmentation of the Android platform. The survey concludes that a lot of developers are unhappy with the fragmentation of the platform as well as the fragmentation of the monetization platform. Fragmentation impedes monetization on the Android platform. Customization for screen size, feature sizes, even skins that device manufacturers have put on top of that eats into resources allocation on the platform. 79% of developers think that HTML5 was going to be a component of people’s apps in 2012. Only 6% developers plan to make all-out Web app that runs in a browser; a much larger 72% plan a hybrid approach that wraps native interface elements around an app that relies on a browser engine behind the scenes. A hybrid has some native code on device, but content will be delivered via HTML. For developers on open platforms it’s a tough line to walk. They want to have an open OS, but openness means they’re going to have fragmentation. The good news for Android is that even while it has suffered recent declines it fares much better than Blackberry (16% Developer interest) and Windows (37% developer interest). The good news for Google is that developer interest is on a rise for Web-App hybrid environment like the one running on its Chrome OS and Chromebooks. Reeling under the pressure of borrowings for 3G services, the profit of telecom sector is likely to dip by 84.7% in 2011-12, according to an economic survey of Indian telecom industry. PAT (Profit After Tax) during 2011-12 is expected to fall by 84.7%, mainly on account of the sharp rise in the industry’s interest outgo and higher depreciation charges due to the heavy borrowings for acquiring 3G licences and rolling out 3G services. The pre-Budget document said it expects sales of telecom industry to slow down in 2011-12 to 8.7% from 10.5% during 2010-11. However, it is optimistic about the growth next year and expects the revenues to gain momentum in 2012-13 with a growth rate of 10.6%. Needless to remark here, the Indian telecom industry has been stuck in a rut, majorly because of ambiguous government policies and a poor blueprint for growth. The telecom industry earnings have been used to offset large government subsidy projects for a while now. However the auction model with such high outgo of capital from the Telecom operators without an adequate and clear indication from the government on the way forward has knocked the wind out of the sails for the Telecom industry. The learnings have not been absorbed by the government yet. Case in point, is the 2G auction as per the recent Supreme court 2G verdict. Then there is the 700 MHz auction later this year. With profits and coffers drying out, the Government still believes that the operators have an appetite for so many auctions. On the other hand, there is no clear roadmap from the Government as to how much spectrum is going to be auctioned and when. The recent Supreme Court verdict will lose its very purpose if the policy back and forth continues. The reason telecommunications industry is in a mess today is that our policy roadmap is unclear. Any successful industry needs a strong and consistent policy framework to be successful. The Indian telecom industry has been let down by the Government in this very critical requirement. It might help to reduce the role of various Government bodies involved in the day-to-day affairs of the industry. There are so many Government bodies under the aegis of DoT that it is difficult to keep track. TDSAT, WPC, TRAI, Telecom Commission – each at crossroads with the other. The recent Supreme Court judgment coupled with the forthcoming National Telecom Policy are a golden opportunity for the Government to revamp the processes and to focus on the basics to get the industry moving. Reducing the role of the Government in the day-to-day functioning of the Government might be a good beginning. One of the most enduring and endearing representatives of print is Encyclopaedia Brittanica which after 244 years of print run shut its print run. EB will be available in digital and web formats now on. The product most associated with wisdom of the crowds i.e Wikipedia is credited with the death of the Print edition of EB. EB maintains that the death of Print edition is because the digital media encyclopaedia is taken over. Print encyclopedias account for less than 1% of Britannica’s revenue, while 85% of the revenue comes from educational products and 15 percent from the $70 subscription to its website, which about half a million households pay. Recently, the company recently launched a set of apps ranging between $1.99 and $4.99 per month. Thus the end of Print EB is more about the death of paper and print era at the hands of digital media. It’s a rite of passage in this new era. Some people will feel sad about it and nostalgic about it. But we have a better tool now. The Web site is continuously updated, it’s much more expansive and it has multimedia. The telecommunications sector is the most significant and visible success story of economic liberalization in the country. However, its sustainability and continued growth path can only be ensured with firm but soft-touch regulatory measures. Any future foreign investment in the telecom sector will be largely determined by the manner in which the govt address the present upheaval. To provide the background, The regulatory function in India is performed both by the government — that is, by the department of telecommunications — and by the regulator, the Telecom Regulatory Authority of India (TRAI). Given the present functional jurisdiction, the answers to most regulatory issues lie with the government. The industry’s paramount need, in order to provide for the functional efficiency and financial health of telecom service companies, is that the process of consolidation be catalyzed. The international experience says that five or six licenses are adequate both to ensure the quality of service provided, as well as to induce sufficient competition in the sector. Even if we account for India’s vast population, there is no viable case for having a dozen licenses in each service area. While there were many license seekers in 2007-08 in the queue for unearned gains and some foreign companies invested in the hugely appreciated script value of the newly licensed companies. By 2012, there is already a clamor for incentivizing a merger and acquisition policy and a friendly exit policy. The issue was partly addressed by the recent judgment of the Supreme Court. However, the government would be repeating its earlier mistake if the number of licenses is not rationalized. It is imperative that the need and timing for new licenses should be considered by the regulatory authority, TRAI, on a reference from the government. No one is making a case for pre-determined numbers or any form of capping of licenses. However, the process of granting licenses can be initiated in phases to assess the felt need. Meanwhile, a cloud of regulatory uncertainty has spread after a series of review petitions has been filed in the apex court. The government has announced the draft National Telecom Policy, 2011. Its finalization and announcement deserve the highest priority, in order to dispel any misgivings about regulation that may linger. There are also important recommendations from TRAI which deserve to be accepted by the government for incorporation into the draft telecom policy. The most critical structural recommendation relates to the introduction of a Unified Service License, which will provide for the freedom to use any technology, as well as the separation of spectrum. The acceptance of this policy would also require a defined path for the migration of present UAS license holders. This should be addressed along with the license renewal policy, as many of the industry incumbents will complete 20 years, beginning in 2014. It also entails the determination of a renewal fee. There is another pending issue that is worrying investors in the telecom sector. That concerns the determination of the price of spectrum beyond the 6.2 MHz that is presently with the major telecom service providers. TRAI has made certain recommendations on this subject. The government may auction 2G spectrum band as per the orders issued by the Supreme Court. Therefore, a balanced view needs to be taken so as to avoid any situation of litigation and irrational bid performance. Another recommendation from TRAI concerns re-farming in the 900 MHZ band of spectrum. It may be desirable to consider the monetization of the spectrum value in the 900 MHz band, among the possible solutions to resolve this issue. The gains in terms of spectrum release from re-farming are far less, and, further, it would open up a Pandora’s box of litigation. There are also technology and interconnect issues. TRAI has already recommended the permitting of Voice over Internet Protocol (VoIP). In future, Long Term Evolution (LTE) technology will be a major challenge to the existing telecom service providers. The issue of interconnection within and outside the service area in different spectrum bands is already before the appellate court. There are official announcements of the introduction of one India circle, and the consequent abolition of roaming charges. These deserve serious consideration on grounds of technology, tariff and resolution of National Long Distance licences. Lastly, the rationalization of tariff must remain with the telecom service providers under the watch of TRAI. The need of the hour is to seek the view of telecom service providers and evolve regulatory policies in the larger national interest, without any tag of “winners” and “losers”. The web based IP world is reaching crisis point. The number of addresses for IPv4 has long been predicted to run out soon arguing that, meanwhile, the readiness to move over to IPv6 looks increasingly unlikely to happen any time soon. Conventional wisdom among many analysts said that the industry wouldn’t be ready for the switch until 2015. Many others, based on the indicators think it could be even more distant. This means that two of the current booms in technology, cloud computing and the” Internet of Things”, might not be sustainable. You can’t have an Internet of Things, if the ‘things’ in question (gadgets) can’t get on the Internet. They simply won’t be able to without an IP address, and all the IP addresses available under the old system are rapidly being used up. For cloud computing to work, iPV6 provides the most perfect communications platform. Optimum communications, thus, could be dependent on the adoption of IPv6. Thirdly with IPv6 giving companies, marketers and researchers could gain a complete visibility over the movements and browsing habits of smart phone and laptop users, it could become a marketing manager’s dream.